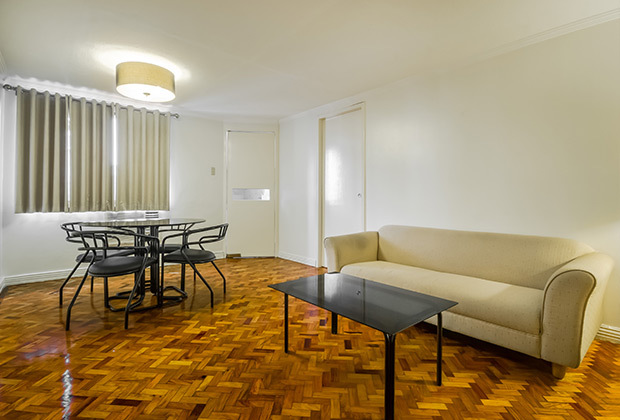 Welcome to Salcedo Suites at the LPL Manor in Makati. Our budget-friendly hotel offers comfortable and private accommodations at the Ayala Central Business District. Our rooms and suites provide a soothing respite from the fast-paced city life outside. 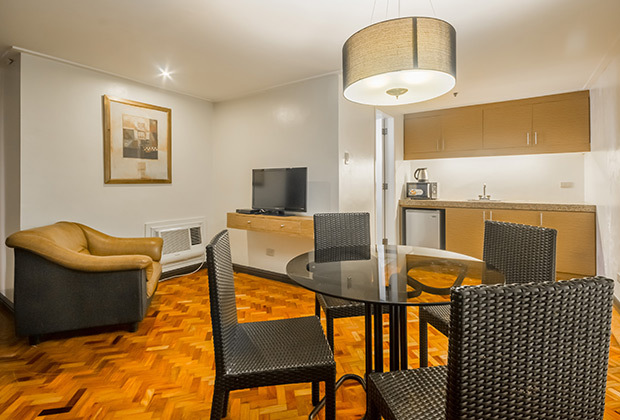 They also offer practical conveniences like air-conditioning, internet connections, and housekeeping, all with the best of our local hospitality. These assure an enjoyable and relaxing experience. Whether you’re in town for business or leisure, we guarantee that you’ll get your money’s worth and more at our hotel in Makati. Feel at home and unwind easily in our Makati hotel’s cozy, amply equipped guestrooms. Enjoy useful features such as kitchen facilities, Internet connectivity, and cable television. We provide you the best housekeeping services and round-the-clock security, all for a worry-free stay at Salcedo Suites at LPL Manor. Experience Filipino hospitality from the minute enter until you leave.